The subject matter, as you describe it, makes me really want to read this. Interesting what inspired her to write it. And it does seem like a timely book. 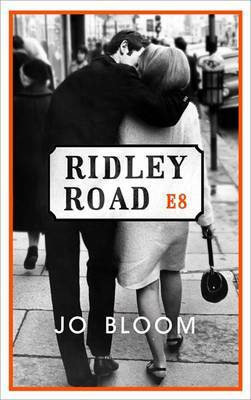 Yes, the proof came with a letter prefacing the novel explaining how Bloom had come to write it. I hope it was kept in the finished copies. How lovely it would be to consign all that hatred to history but I’m not sure we’ll ever be able to do that. One of the best books I’ve read for a while, utterly compelling and very well crafted. And such interesting subject matter, too. Interesting to hear about the 62 Group and the background to this book. I think it might do well at the library (and your review will be very useful if anyone asks me about it!). That’s good to hear, Jacqui. Yes, I agree with you about the jacket, Kim. It was Bloom’s letter which prefaced the novel in the proof (not in the finished copies, apparently) that made me want to read it and while the loves story may be the hook for some it’s the historical context that makes it such an interesting book. An interesting anecdote about how she stumbled across the story and sounds like a fascinating, insightful and perhaps even an important account. Sometimes it feels as though have blind spots regarding our own history, all the things that get washed under the carpet. I don’t know that things change significantly, there is just the perception that that is so and now that we such a transparent age, it can seem as though it is much worse. I’ve always taken a ‘things are getting better approach’ and many things have – clean water, free education then leaping ahead to gay marriage, to name but a few – hence my ‘more enlightened times’ comment but it seems that we’ll always have extreme prejudice of some sort or another as we were all reminded so graphically yesterday. What an interesting book this sounds! But then your reviews seem to make me want to read every book you do! Will be looking out for this one, though. I love novels that really get down into the cultural context. Ah, unlike 10:04 this one’s all about context rather than the writing! Fascinating slice of history, and not one I knew anything about. Oh yes, this sounds fabulous. I love books that uncover history I knew nothing about. That was it’s appeal for me, too. Well worth seeking out. Oooo, that does sound interesting. A very different look at the 60s. One (sighs at her weak will) for the TBR, methinks! Sorry to be the temptress – well, not really. I hope you like it.